Keywords: Global climate change, environmental education, teachers of Natural Sciences. 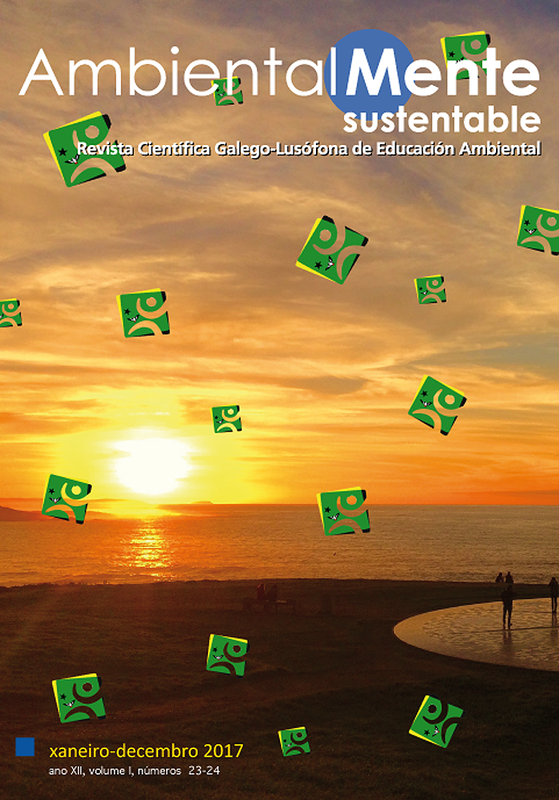 This paper presents the results of a research on global climate change in the school context. Data were collected with a group of teachers from the public network of the city of Curitiba / PR (Brazil). The aim of the research was to identify the relation between the contents of their discipline (greenhouse e ect, ozone layer, carbon dioxide) and global climate change, considering the potential that the teachers of Natural Sciences of the 6th and 7th year of elementary school. These contents have for carrying out actions in the eld of Environmental Education. Thus, the support of authors such as Artaxo (2014), González-Gaudiano and Meira-Cartea (2009) and Teixeira e Torales (2014) were de ned on the theoretical basis. The qualitative methodology was adopted, with the data collection done through an interview with the teachers. In the analysis of the data it was observed that the participants related the contents that they teach with global climate change, although without articulation with the other areas of knowledge, which restricts the interpretation of the phenomenon that is characterized as complex, hybrid and requires an e ort Interdisciplinary approach for their understanding. ARTAXO, Paulo Eduardo (2014): “Mudanças climáticas e o Brasil”, em Dossiê Clima- Revista USP, n. 103, p. 8-12. BARDIN, Laurence (1977): Análise de conteúdo. Lisboa, Edições. GONZÁLEZ-GAUDIANO, Edgar; MEIRA-CARTEA, Pablo Ángel (2009): “Educación, comunicación y cambio climático. Resistencias para la acción social responsable”, em Trayectorias, n. 29, p. 6-38. Grupo Intergubernamental de Expertos sobre el Cambio Climático–IPCC (2014): Impactos, adaptación y vulnerabilidad. Resumen para responsables de políticas. Contribución del Grupo de trabajo II. Ginebra, Organización Meteorológica Mundial. TEIXEIRA, Cristina; TORALES, Marília Andrade (2014): “A questão ambiental e a formação de professores para a educação básica: um olhar sobre as licenciaturas”, em Educar em Revista, n. 3, p. 127-144. TILIO NET, Petronio (2010): Ecopolítica das mudanças climáticas: o IPCC e o ecologismo dos pobres. Rio de Janeiro, Centro Edelstein de Pesquisas Sociais.